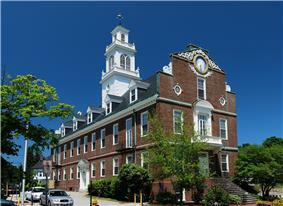 Weymouth is a city in Norfolk County, Massachusetts, United States. As of the 2010 census, Weymouth had a total population of 53,743. 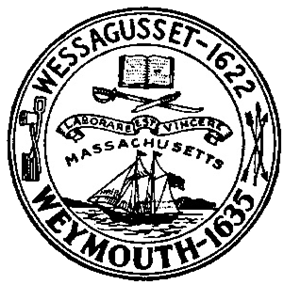 Weymouth is one of fourteen Massachusetts municipalities that have applied for, and been granted, city forms of government but wish to retain "The town of" in their official names. It is named after Weymouth, Dorset, a coastal town in England. 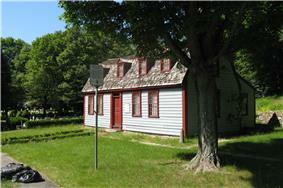 It is the second-oldest European settlement in Massachusetts. The median income for a household in the city was $41,665, and the median income for a family was $54,083. Males had a median income of $42,497 versus $35,963 for females. The per capita income for was $24,976. About 9.1% of families and 9.8% of the population were below the poverty line, including 7.3% of those under age 18 and 7.4% of those age 65 or over. Weymouth is located at (42.206458, -70.945919). Weymouth is served by several MBTA Bus routes as well as three MBTA Commuter Rail stations: two on the Greenbush Line, at Weymouth Landing and near Jackson Square, and one on the Old Colony Line at South Weymouth. Numbered routes that pass through Weymouth include Massachusetts Routes 3, 3A, 18, 53, 58 and 139. By April 1623, word of conflict between Native Americans and the Virginia colonists had reached the north and this increased the tension between the two groups. Massachusetts and other native groups began plotting to attack and destroy what was left of the floundering Wessagusset colony and possibly the more successful Plymouth Colony. Massasoit heard about it and sent word to Plymouth. Bradford, fearing that Plymouth would also be destroyed, sent Myles Standish to Weymouth with the Plymouth militia to end the threat. Under a banner of truce Standish lured five of the more bellicose Massachusetts Natives inside the stockade. There, after a brief struggle, the native leaders were killed. Ten of the original sixty had starved to death and two others had been killed in conflict with the Natives. Forty-five colonists joined Plymouth or went north to Maine, and from there most returned to England. The three who remained were subsequently killed by Native Americans. U.S. Naval Officer, two destroyers have been named USS Little in his honor. ^ Charles Francis Adams; Gilbert Nash (1905). 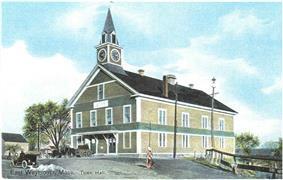 Wessagusset and Weymouth. p. 1. ^ "Weatherbase.com". Weatherbase. 2013. Retrieved on October 26, 2013. ^ Moore, Jacob Bailey (1848). Lives of the governors of New Plymouth, and Massachusetts bay. p. 235.